Jonathan loves three things: Dr. Pepper, pop culture, and his wife Nicole. 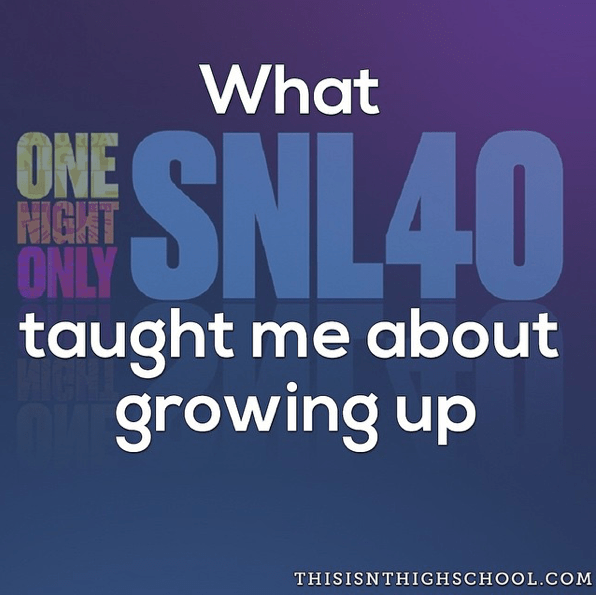 I developed that love of pop culture as a middle schooler watching reruns of Saturday Night Live on VH1. In the late 90’s, they showed hour long episodes from the late 80’s and early 90’s. I saw all the classics, from Phil Hartman to Chris Farley to Dana Carvey to Adam Sandler. As I got older, I learned about John Belushi, Chevy Chase, and Steve Martin. Then I learned the dude from Dr. Doolittle used to be the funniest guy on the planet and got his start on SNL as well. My first foray into current events and politics came from Weekend Update. I learned who Christopher Walken was when he said he had a fever. When I think of Bill Clinton, I think of Darrell Hammond more than Bill Clinton. I say all this to say that there was absolutely no way I wasn’t going to watch the 40th anniversary reunion special Sunday night. It was surreal watching comedy legends stand nervously in front of a camera and not know what to do. It was surprising to see some of today’s biggest stars get rejected. The people we look up to today were once nervous wrecks taking a chance. If you haven’t “arrived” yet – and I’m guessing you haven’t – take solace in the fact your big break could be right around the corner. Sooner or later, you’ll get your break. The rest of us can’t wait to see it.